In this paper, we introduce a new simple yet effective strategy to form "hydrogel skins" on polymer-based medical devices with arbitrary shapes. 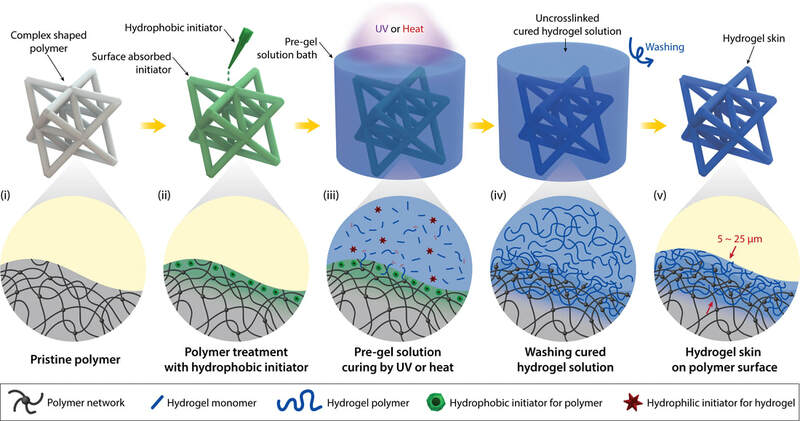 Hydrogel skins can convert any surface of polymer devices into robust, wet, soft, slippery, antifouling, and ionically conductive without affecting the original properties and geometries. The pore-load modulus of ordered nanoporous materials with surface effects. let me know if you are interested in long distance research cooperation. can be as simple as you get my explaination if you want/need to cite my works, or co-authoring paper in things that we can work synergically, or even research collaboration. the only thing that i will not respond is if you ask for job....:) cant give you that. Read more about (long distance) research cooperation..
As well pointed out by Journal Club of March 2007, the flexible electronics is an emerging technology.